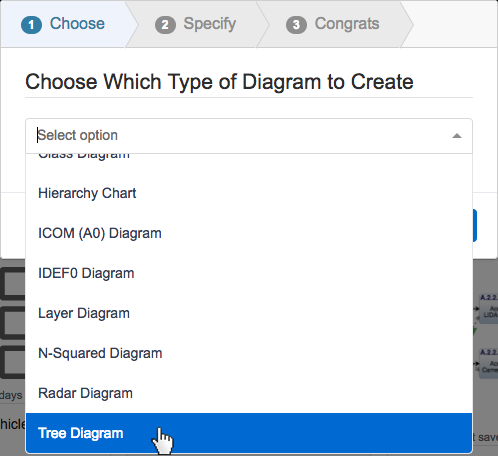 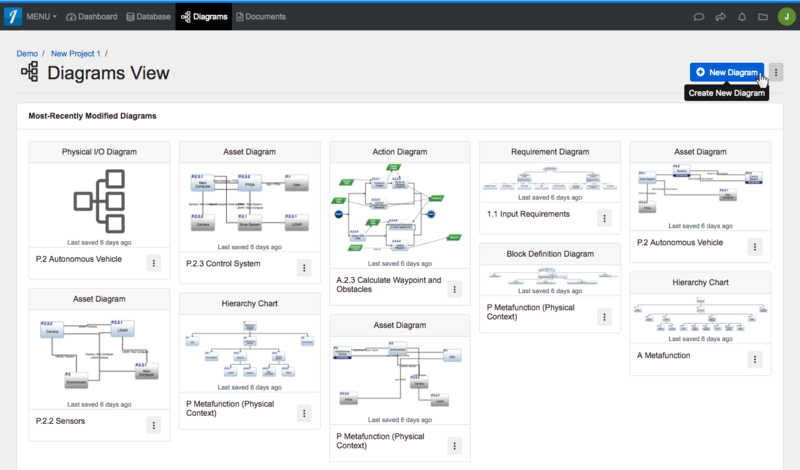 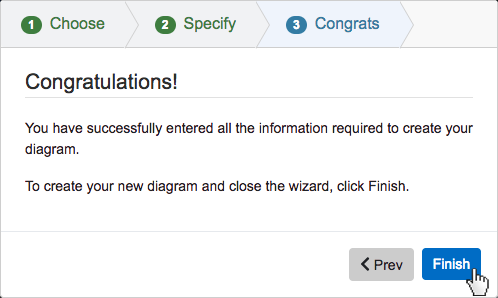 On step 1, select 'Tree Diagram,' under 'General,' as your diagram type. 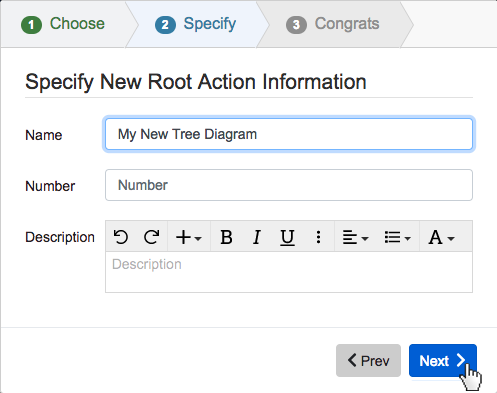 On step three, click the 'Save' button to save and automatically open your new 'Tree Diagram,' where you can begin adding and removing entities. 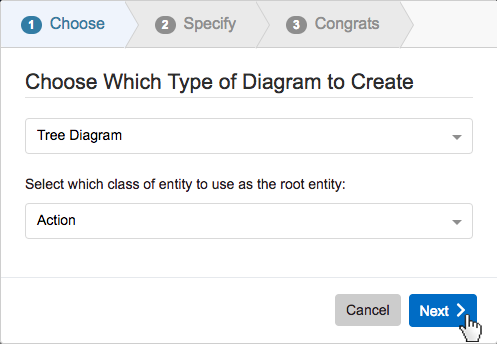 On step 1, select ‘Tree Diagram,’ under ‘General,’ as your diagram type. 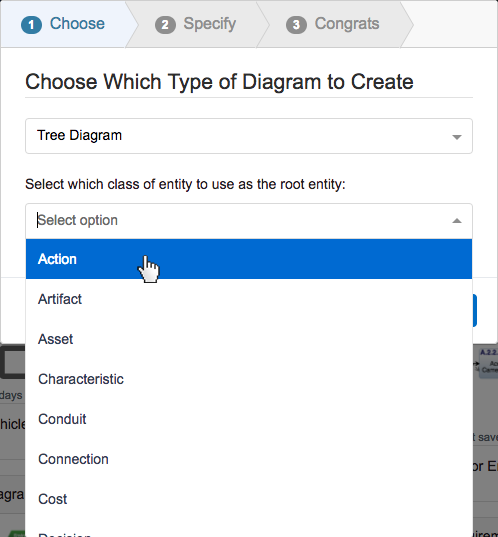 On step three, click the ‘Save’ button to save and automatically open your new ‘Tree Diagram,’ where you can begin adding and removing entities.